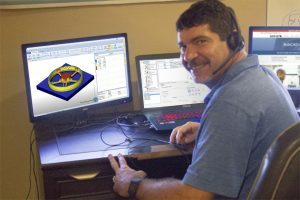 This week we are going to do something a bit different from previous Tech Tuesdays and introduce you to a member of our training staff here at BobCAD-CAM. Matthew Raleigh (trainer and technician) is a longtime machinist and has worked at BobCAD for a little over a year. Some of you have probably talked to him online, on the phone or maybe even received training from him in person. Matthew is a very knowledgeable guy in many different industries, bringing a lot to the table for us. If you are newer to the industry, Matthew has some solid advice for you towards the middle of the interview. Enjoy! How long have you been involved in the machining industry? How long have you been working for BobCAD-CAM? I got involved in manufacturing in 1995 as a manual machinist and then moved into other roles of manufacturing. I began as a machinist then became a proposal engineer. 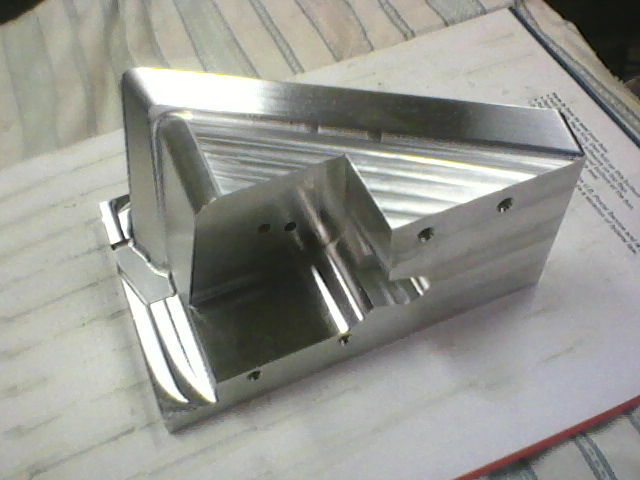 After that I moved into an applications engineer role, then eventually worked my way into being a CNC process engineer. In total, I have been involved in manufacturing for about 25 years or so. I have been here at BobCAD-CAM for about 13 months. Working as a machinist vs working as a BobCAD-CAM technician and trainer… What are some things you miss about being a machinist? What are some things you really enjoy about being a technician? The thing I miss most about being a machinist is working with my hands… you know, taking something from the very beginning, designing it & then taking it to the machine and creating it. Really just using my hands is what I miss. Some things I enjoy about being a technician and trainer at BobCAD are that you get to help people out on a daily basis & help them discover new ways to do things that they didn’t know before. That is very fulfilling. What is a recent technical issue you had that stumped you and how did you come to the solution? Well, I do a lot of training classes & seminars, and recently I ran into a guy that wanted to increase his capabilities for sign making. He wanted to emboss some text on a curved surface. This was something that I never really got into before so I contacted some of the older trainers here. They showed me how to do it and then I showed the client how to do it. When it was all said and done, he was very happy that he increased his capabilities with his BobART software. What are some of the top things you have learned as a machinist that helped you excel at being a technician? We have all the software to do the things that people need to do, but as techs and trainers, if you don’t have a background or don’t have any concepts in machining, the guys can sense that. Being a machinist, you gain all that knowledge and ultimately the trust of the guy you’re helping. Sometimes guys call in and say ‘I’d like to talk to a machinist’ or they will ask you if you have ever run a machine before. Lucky for Matt, he can say ‘yes’. Any advice for new machinists starting out? You have experience in many industries (automotive, medical, die & mold, aerospace, etc…); do you have a particular industry you enjoyed most? If so, what and why? I started out in automotive because of the area that I am from, mostly; but, every industry has different requirements. Automotive is driven more by high production and is more stressful, whereas aerospace is more laid back. The same thing with die and mold; you’re not making many parts but it takes longer to make a part. So, I prefer aerospace because it’s more challenging and the parts are more complex… it just takes more of your mind. Automotive is more simplistic parts but higher production, so it has its unique challenges. What are some advantages BobCAD-CAM has over other software you have used in the past? 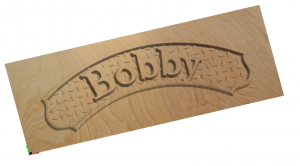 What BobCAD does well is they provide the user with a real streamlined workflow with the machining wizards. The way that, especially with Version 31 now, the menus are broken down and more logical, I feel it’s easier for a newer/intermediate user to follow through the CAM wizards. There’s typically a picture for everything so you can look at it and say, ‘oh, yeah, I know what that means’. We also have a lot of time-saving features in the software that really help people like the Save & Load feature or the Copy & Paste feature… the list goes on. I like to do some form of exercise; I either go to the gym, mountain bike or rollerblade. I try to exercise as much as I can. We live in Florida so I always want to be outside… I only go to the gym if I have to. I spent most of my career working for German companies, so I spent a lot of my time in Germany, eventually learning how to speak the language. I worked for a German machine tool company & all of our technical data was in German, so I started making a list of words and translating them. Eventually, my company paid for me to get tutoring in the language. After about 5 years or so, I was able to have conversations in German and understand internal documents. Hi, good to know, that you have somebody who speaks German. I’m quite able to have conversation in English, but when it comes to technical expressions the limits are close. Yes, I agree. Thank you for the comment!